From off —> one short click turns the light on at the lowest level. From off —> a long click turns the light on at the last used level (low mode does not count). When the light is on —> a double click gives you strobe mode. When the light is on —> a single click when the light is on advances in the next mode (low-medium-hi-turbo (if you are in the constant output mode) , strobe-SOS-“breath flash” if you are in the flashing mode). Slightly longer click turns off the flashlight . There is a shortcut for breath flash: from off make 3 double click. When the light is on breath flash, a single click will activate the SOS, a double click will activate the last used mode. In breath flash mode, the led under the switch will slowly turn on and off . When you connect the micro-usb indiactor turns red , and blue when battery is full . Charge current is 1.95 A . (Approx 3 hours for a 5000mAh cells) . Hmm, so how hard would it be to get the driver out? Hmmmmmmmm that looks awfully similar to my Manker U21vn!!!! Exact same tail cap assembly and spring assembly in the head w/ the same numbers,,DL053/DL046. Only difference is some knurling on the handle. Ok, good review so far... But those amp readings are very low. The XHP35 HI draws lots of power, much more than a 3.6V LED from a single cell (boost driver). My Manker U21, and another I modded for Light Junkie, have dedomed XPL's in them, and it cranks in lumens and throw, support with the switch LED as a indicator LED, nas smooth ramping from Narsil. What did Vinh do with the U21? Both mine and LJ's drivers crapped out, so not much choice but to mod it up. I checked 5-6 times the reading in turbo (lii 26650 – 30q – vtc5a) , seems low to me , too . I’m using Uni-t clamp meter for the high modes . Vinh did the same thing you did , dedomed xp-l and fet driver (without your awesome Narsil of course) . 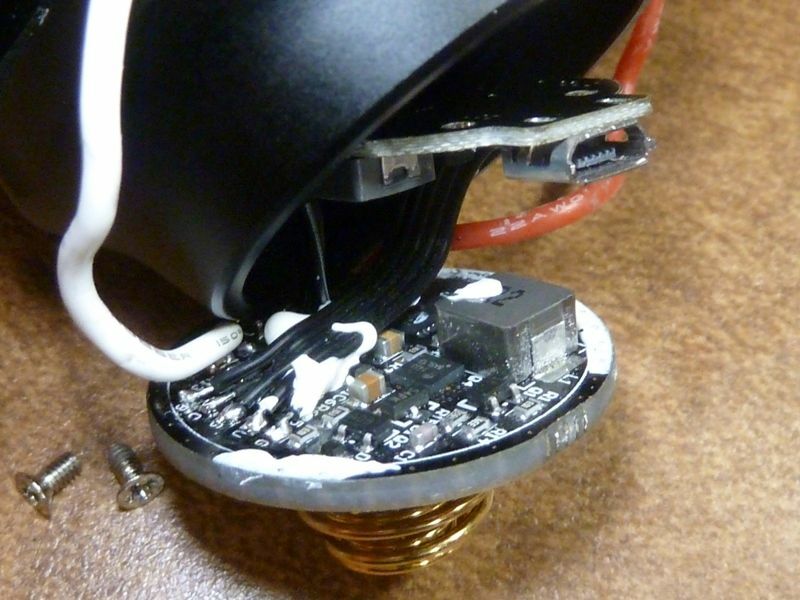 How did you remove the driver on your U21 ? Yes, it sure should look just like the U21. It's "disgusting" according to Manker, but no further explanation . We are trying to figure out if it's made in the same factory, same guys, same parts, etc., or is some level of a clone, or they simply fell off a truck and got some re-branding. I'm thinking GearBest got disgusted with Manker for enforcing MAPS, or some other pricing restrictions, so did some creative product procuring. Manker has been play'n hardball with pricing, no group buys, etc. I wish some company would do a “re-brand” of the MK34. I really, really, really like that light but not the company behind it. What to do. I checked 5-6 times the reading in turbo (lii 26650 - 30q - vtc5a) , seems low to me , too . I'm using Uni-t clamp meter for the high modes . Vinh did the same thing you did , dedomed xp-l and fet driver (without your awesome Narsil of course) . How did you remove the driver on your U21 ? Ok, dang, I do need a better memory (mind? ), I'm pretty sure it was lightly glued, and needed some pushing. I probably went from the top - used a solder pick to poke thru one of the LED wire holes and apply pressure on the outer lip of the dirver til I get some movement. Oh boy, let me check if I got pics. I saw them Tom , in your review . It’s the same way mounted on the UT02 i suppose (some eppoxy) . No retaining ring . That doesn’t give much hope for reprogramming anything. Ok, good review so far… But those amp readings are very low. 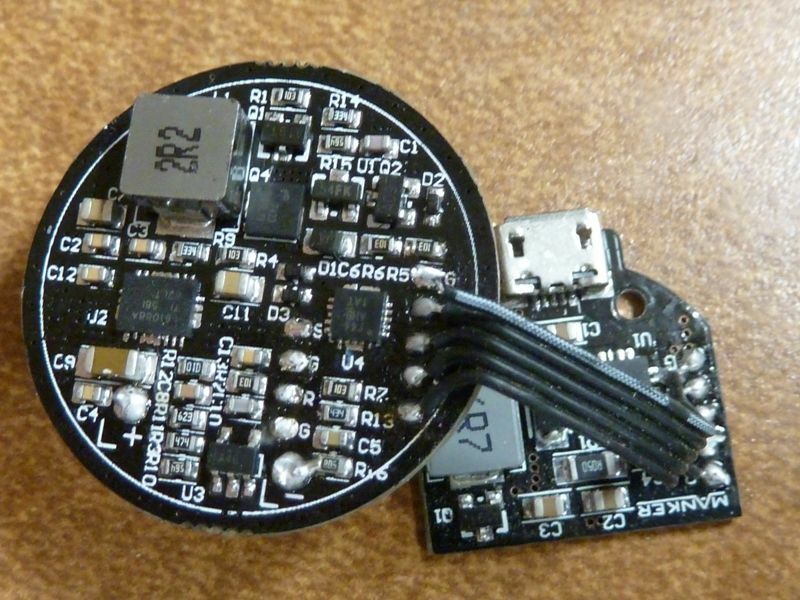 The XHP35 HI draws lots of power, much more than a 3.6V LED from a single cell (boost driver). My Manker U21, and another I modded for Light Junkie, have dedomed XPL’s in them, and it cranks in lumens and throw, support with the switch LED as a indicator LED, nas smooth ramping from Narsil. What did Vinh do with the U21? Both mine and LJ’s drivers crapped out, so not much choice but to mod it up. I have the XPL version.I love the light,a little more lumens and the same throw as my M2Xvn! Ok, so the U21 has/had problems with fried drivers. Is there anything known about the possibility the same problem could occur with the Utorch? About the fried drivers, really dunno. My died after the tear down for the review, but it was an engineering prototype unit. The other one was used for a few weeks before it died. I haven't heard of any one else having problems, but haven't really heard much at all overall. With all the Manker drama, and the fact it was never offered discounted kept BLF sales down I would think, but it's a great light - really like it's size, performance, quality. Ahh, ok. Vinh is good at getting the most throw w/focusing. The two I modded using dedomed XPL's do about 1,700 lumens (@30 secs) and 240 kcd, but measured at 5 meters, so could be closer to 250+ kcd measured at 10+ meters. Meh, just got 2 of them today, 2.45amp and 2.22 amp on the other! Purple Efest 4200, Basen and a Imren IMR 26700 all read the same. Dust particles on/in both reflectors and a smear of shmuck on the inside of the lens on one of them! Seem well built, focused. Don’t like the switch, sets too low for my liking, too much travel a PITA to activate for me any way, FAT fingers!!! Just wish they were cleaner inside, I’ll try blasting the crap out and clean the lens. Hopefully they will clean up? About the fried drivers, really dunno. My died after the tear down for the review, but it was an engineering prototype unit. The other one was used for a few weeks before it died. I haven’t heard of any one else having problems, but haven’t really heard much at all overall. With all the Manker drama, and the fact it was never offered discounted kept BLF sales down I would think, but it’s a great light – really like it’s size, performance, quality. Ahh, ok. Vinh is good at getting the most throw w/focusing. The two I modded using dedomed XPL’s do about 1,700 lumens (@30 secs) and 240 kcd, but measured at 5 meters, so could be closer to 250+ kcd measured at 10+ meters. “The Manker Drama”. Sounds like a Netflix series. Isn’t 2.6amps on turbo kind of low? Maybe not. I was expecting more though. Sorry, it’s messed up in my head lol. As far as the XHP-35 goes, 2.6A is the sweet spot, output drops off after that. That’s emitter amperage though, I don’t know what tail current should be on this particular light to achieve optimum emitter current. Edit: This is both in my experience and with testing TA is doing. Amps at the cell is like 4X the LED, roughly, maybe little more. Should be doing over 5A because stock, the U21 was like 1300 lumens, so in the 1-1.5A range, think it was spec'd at 1.3A at the LED. Wonder if he had it on true turbo... I've made that mistake before. Since these boost drivers are a bit more finicky, don't think you can crank them up much, plus it's a huge pull of amps for a single cell - 2.5A at the LED is at least 10A from the cell. Good reason to convert the driver over and go with a conventional single cell LED, like the XPL. I got just over 1,700 lumens on a dedomed XPL in this light. Thank you for the review so far, the amp draw is very low, I have a X1 with a boost driver it pulls 7,34A on a rested King Kong 4000 mAh ICR26650 at the tail for 1,47A at the LED. I think it should be pulling at least 5A to get 1A at the LED. I have already contacted Gearbest and i’m waiting for more info about the driver . It should pull 5-5.5 amps . Intensity is lower too , something isn’t ok with the driver .